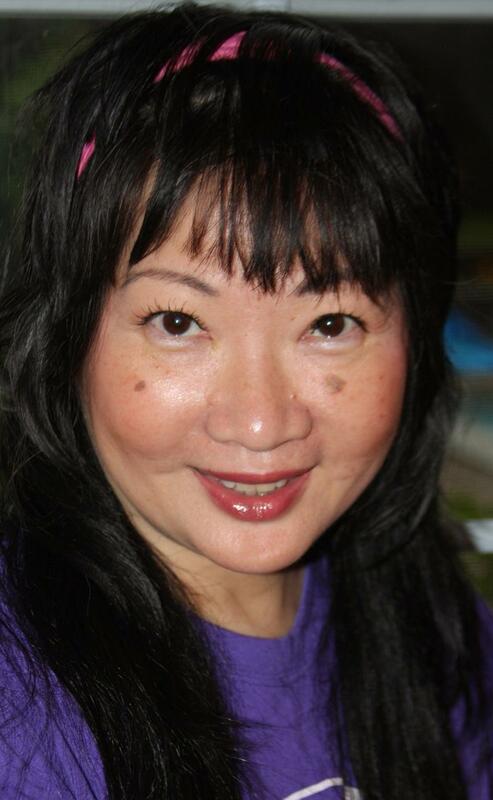 Lao Shir (Venerated Teacher) Cynthia "Cindy" Ming is honored to be celebrating her 43nd year in the Martial Arts and Holistic Fitness. She began her journey of physical culture at age fourteen at the Sil Lum Pai with Sifu Ron Rosen and SiMo Josephine Pizzino. Around the same time she began to study dance at several notable studios; the Alvin Ailey American Dance Center, The Joffrey Ballet School, Merce Cunningham Studio and several others. She had the opportunity to study with the great dance teachers Peter Saul, Janet Pannetta, Lenore Latimer, Michael Owen and Robert Christopher. Her Kung-fu Sifu were Sifu Chan Hak Fu of the Pak Hok School and Sifu Shum Leung of Ying Jow Pai. It was during this time she saw Wushu From China at Madison Square Garden and knew this dazzling combination of martial arts, gymnastics, ballet, dance and music was what she wanted to pursue. Armed with books and tapes she found in Chinatown, Lao Shir Ming then pursued this little known martial art form and co-founded The New York City Wushu Team with Kenn Goodman, Jerry Ray and Steven Ventura. She and The Team produced and appeared in over 100 shows and lecture/demonstrations all over the tri-state area and appeared with The Team internationally. In 1985, '86 and '87, she traveled to Mainland China to further her training and became certified by Coach Wu Bin and several other Grandmasters of the Beijing Wu Shu Team at the Beijing Sports and Cultural School and The Beijing Institute Of Physical Education, the "Harvard" of sports universities in Mainland China. The Beijing Sports and Cultural School is the training ground for the world renowned Beijing Wushu Team and of world class martial artist and movie star, Jet Li. She received certifications in Wushu, Tai Chi and Sport Conditioning. She was then told to "Now go and teach ten thousand others." She served on the faculties of the New York open Center, The New School for Social Research and Columbia University's Adult Education Alternatives Program. Lao Shir Ming achieved top ten level status as a regional forms competitor. In 1988, she was awarded Honorary All Event Athlete, Women's Division in the United States Wu Shu National Championships. In 1991, she was prominently featured in a full page in the Joe Weider publication, FLEX, a professional bodybuilders' magazine. She had the distinction of being one of the few martial artists the magazine has featured. In addition, Lao Shir Ming was regularly featured on the TV show "Alive and Wellness", "Prevention's Body Sense", "The Natural Health Show with Mary Mucci" and several others. In the year 2000, Lao Shir Ming sustained a herniated disc injury in her neck. After months of painful physical therapy, she worked in concert with Master Physiotherapist Evan Johnson Using his expert western physical therapy and the very moves she had been teaching her Students; Tai Chi, Qi Gong, Pilates, Yoga, she recovered to full mobility. Given this experince with a severe injury, Lao Shir Ming has made it her specialty to modify movements so anyone can achieve success in developing their ultimate human movement potential. From 2004-2009, Lao Shir Ming was invited to share her wisdom gained from the Martial Arts with students at St. Thomas Aquinas College in Tappan, NY, in a series of motivational sessions. These talks were based on the internationally renowned book, The 100 Action Principles of the Shaolin, written by successful entrepeneur and author, Sensei Bill FitzPatrick, the Shaolin Master™. Lao Shir Ming highly recommends this book to people from all walks of life. On a personal note, Lao Shir Ming still loves to dance, considers herself very much a citizen of the world, loves saying "hello" in any language she can. When she has the opportunity, loves taking African dance lessons and African drumming. "Your success and happiness lie in you." Visit the website suite101.com for articles by Lao Shir Ming. Thank you! Joshu John Hood has been training in Tai Chi, Qi Gong and Personal Fitness since 1990 while he was a sous chef at the famous Union Square Cafe in New York City. He experienced first-hand how Tai Chi and Qi Gong greatly reduced his stress on the job. In 1994, Joshu Hood and Lao Shir Ming furthered their studies with Grandmaster Chen Wei Gun. Shortly after, he and Lao Shir Ming decided to open a Tai Chi Holistic Fitness facility in Nyack, Rockland County, New York. Presently, Joshu Hood serves as the Off-Site Instructor of Cynthia Ming's Tai Chi Fitness and conducts Tai Chi programs at several assisted living facilities. He served as a KickBoxing, Pilates and Body Sculpting classes﻿ instructor at World Gym in Haverstraw, New York. Another one of Joshu's talents is developing your child's fitness potential. He has enriched the lives of many children in the learning spectrum, including special needs children. References are available on request. Additionally, Joshu Hood conducted a fitness program for the clients of ARC of Rockland, and served as the Tai Chi instructor for the Westchester Chapter of the Multiple Sclerosis Society and the Center for Complementary Medicine at the Pascack Valley Hospital.
" A civilization is judged by the way it treats it's animals, children and it's elderly." For group lessons, please call Lao Shir Ming: 845 729 3722. Sorry, we do not answer emails about group Lessons. Pictured above, Students of Cynthia Ming's Tai Chi Fitness celebrating World Tai Chi Qi Gong Day in Nyack, April, 2010.